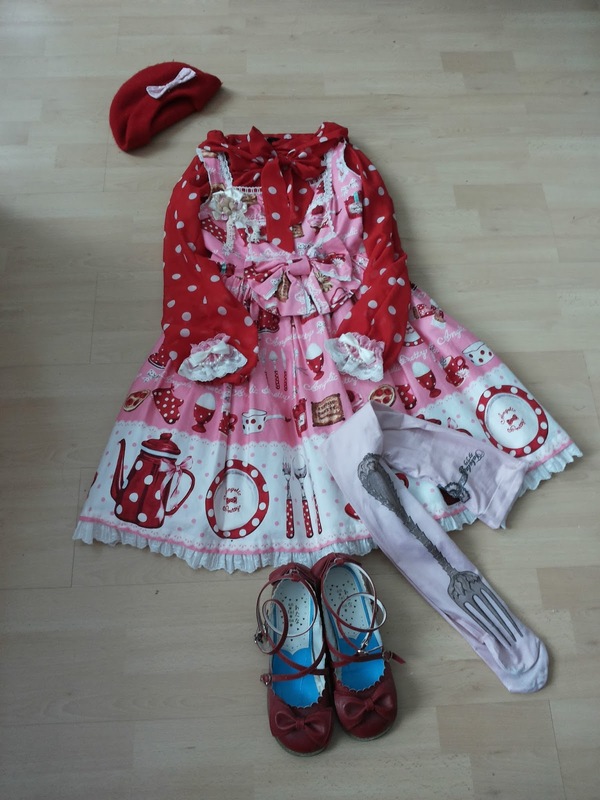 Instead of Innocent World I decided to wear Angelic Pretty to the Convention. I have never worn this dress to a big event, so it deserves some attention. I most likely won't wear the beret though as I want to style my hair in a braid crown. The Tea Party coord is now in darker colours than planned at the beginning. 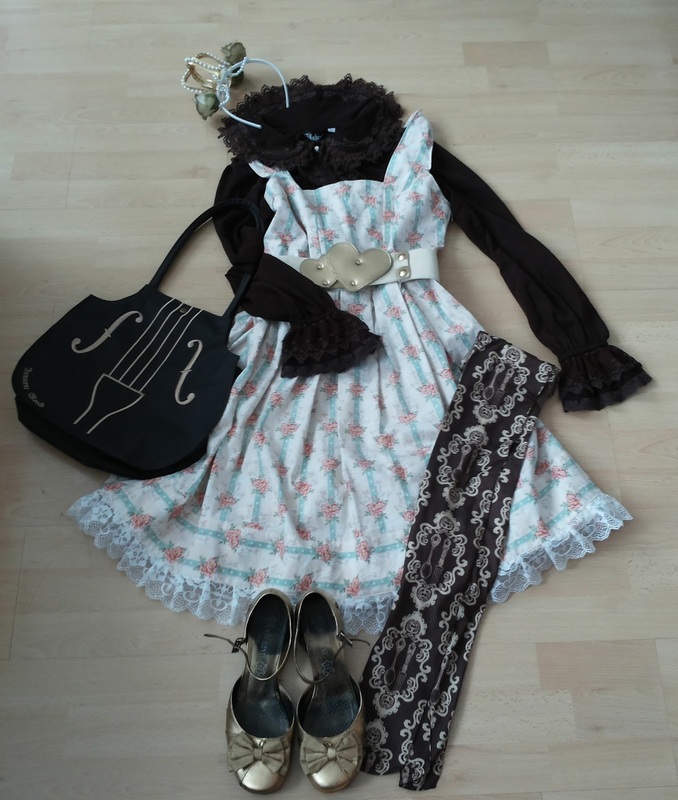 Atelier Pierrot is one of the special guests and this coord is nearest I could come to their style with my super sweet wardrobe. One week before it was also announced that the theme for the Tea Party is 'Princes and Princesses' so I'm wearing a crown instead of the previously planned bonnet. find beide outfits sehr hübsch:3 bin gespannt, wies getragen aussieht.